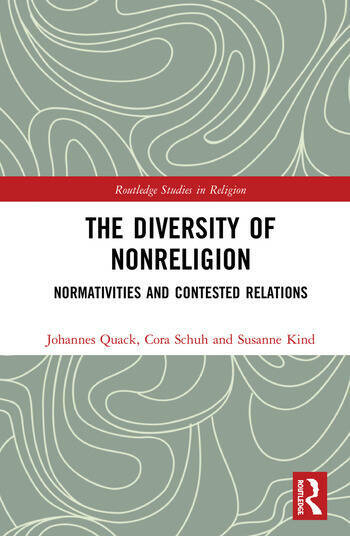 This book explores the relational dynamic of religious and nonreligious positions as well as the tensions between competing modes of nonreligion. Across the globe, individuals and communities are seeking to distinguish themselves in different ways from religion as they take on an identity unaffiliated to any particular faith. Conceptually, the book introduces this relational approach to nonreligion, which is inspired by Pierre Bourdieu’s field theory. It also offers further analytical distinctions that help to identify and delineate different modes of nonreligion with respect to non-religious actors’ values, objectives, and their relations with relevant religious others. The value of this conceptual frame is illustrated by three empirical studies, in Sweden, the Philippines, and the Netherlands, which sketch the changing positions of different nonreligious groups against a background of both institutionalised religious practice and shifting religious identities. This is a timely exploration of how nonreligion and secularities are developing across the world. It will, therefore, be of great use to scholars of religious studies as well as the anthropology, history, and the sociology of religion more generally. Johannes Quack is Assistant Professor of Social Anthropology at the University of Zurich, Switzerland. He is the author of Disenchanting India: Organized Rationalism and Criticism of Religion in India (2012). Cora Schuh is a PhD student at the Institute for the Study of Culture, University of Leipzig, Germany. Susanne Kind is a PhD student at the Institute for the Study of Culture, University of Leipzig, Germany.